Welcome to the ninth installment of our Celebrating A Series column. In it, we take games that we like, then discuss what we hope to see in their respective sequels. 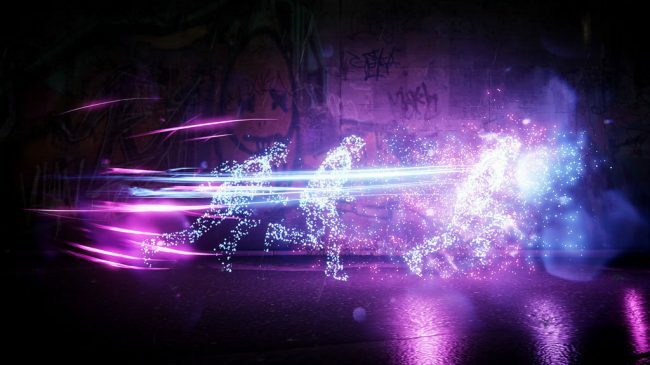 For this latest installment, I will be going over Sucker Punch‘s third superhero game, inFamous: Second Son and what I would love to see in its potential, yet unconfirmed, sequel. Spoiler warning! If you haven’t beat inFamous: Second Son yet (Why haven’t you? It launched in 2014) go beat the game, then come back and read this article! I know I shouldn’t need to warn you about spoilers for a five year old game, but hey, I like to be fair. 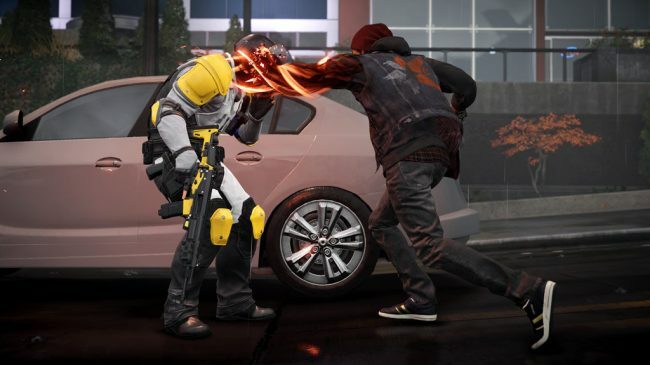 If we ever see a sequel to inFamous: Second Son, I would absolutely love to see Sucker Punch crank up the dial on the types of powers available to Delsin, taking it from four to eleven. Don’t get me wrong. I love the game, but one of the areas it felt like it was lacking was in the different selection of powers. inFamous 1 and 2‘s protagonist, Cole MacGrath, only had one power, but it was fleshed out more than any of the four powers within Second Son. Plus, you are given the fourth and final power only after you complete the game, leaving it feeling like more of an afterthought when compared to some of the game’s other powers. It would be nice to have inFamous 1 and 2‘s level of customization, but with say ten (or eleven) powers, as opposed to four. After all, Delsin’s abilities allow him to absorb a lesser version of any power from any Prime Conduit. Just imagine the potential in that! Delsin could literally become the most powerful Conduit we’ve seen to date within any inFamous game, simply because he has such a wide variety of powers to pull from. It truly is an extremely intriguing premise with limitless possibility, and I would love to see this potential come to fruition if the game ever got a sequel. Now let’s discuss the game’s endings. At the end of inFamous: Second Son, if you made primarily good decisions throughout the story, you would get the game’s good ending. 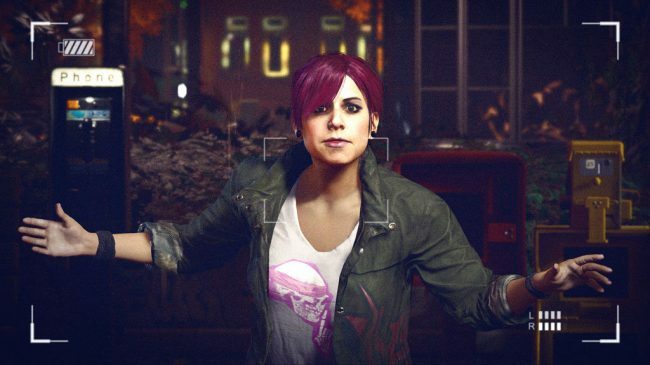 In this ending, Delsin defeats Augustine, but doesn’t kill her, leaving her to face the consequences of her actions in full. Delsin is widely regarded as a hero in Seattle, allowing Conduits and humans to finally co-exist in peace. Delsin vows that he will go to Curdun Cay and release all of the other Conduits that Augustine imprisoned. Then, he returns to the Akomish Longhouse to check on Betty, the woman who Augustine injured in the beginning of the game. The last thing you will see with this ending is the beautiful mural that Delsin paints for his fallen brother, Reggie. Personally, I believe that this ending suits Delsin as a character more than the game’s evil ending. This good ending shows that he has matured throughout the course of the game’s story arc. In the end, he honors his brother’s memory by doing the right thing. In the evil ending, things pan out a little differently. Delsin kills Augustine and, instead of saving the prisoners for the greater good, he decides to free all of them so he can absorb each of their powers. With the D.U.P cleared out of Seattle, Delsin and his Conduit friends are free to take over and rule with an iron fist. In this ending, Delsin also returns to the Akomish Longhouse, only this time he is greeted by Betty who is still in a wheelchair and struggles to get to the door. She explains to him that he has disgraced his ancestors and is no longer Akomish or welcome at the Longhouse. If Delsin has the Infamous karma status, he will rain down an Orbital Drop on the Longhouse to roll out the credits in true evil fashion. I am not a fan of this ending, as instead of making Delsin grow as a character, he simply ends up being very childish. He does not take responsibility for his ruthless actions throughout the game, and as such, dishonors not only his brother’s sacrifice, but his memory. I am glad that Sucker Punch gave players the option to choose between a good or bad ending, and I think it would be interesting to see if Sucker Punch would implement more endings into the potential sequel. Perhaps it could add a neutral option, like the original inFamous, where you could balance out Delsin’s choices throughout the game to ensure that your ending falls somewhere in between good and bad. Another welcome change would be to have more decisions that would affect the story’s ending. Either way, more choices would be a welcome addition if there were ever a sequel. It would also give players a reason to replay the game more than twice, which is never a bad thing in a superhero game. Another thing I really enjoyed in inFamous: Second Son is the cast of supporting characters, whether they were Conduits or not. We had characters like Reggie, the stubborn older brother that happens to be a police officer, Fetch, the misunderstood drug addict, and Eugene, the shy nerdy kid who uses video games as an escape. Each of these characters can provide Delsin with an opportunity for personal growth. You can show Reggie that not every Conduit is a villain (unless you pick the evil ending that is). You can teach Fetch to use her powers for good. Eugene can learn that he doesn’t need to live vicariously through a video game just to enjoy life. These characters have the ability to humanize Delsin, which is an important thing to do when he is constantly draining energy out of neon signs and dashing through the air in a cloud of smoke. I would love to see an even larger cast of supporting characters in the sequel. I’m not saying I want a ridiculous amount of side characters, but with the way that inFamous: Second Son ended, it would be a great excuse to add a couple of interesting Conduits into the mix. Delsin could become allies with some of the newly liberated prisoners from Curdun Cay. In return for helping them out, they could teach him some of their powers. Who better to teach him how to hone those new abilities than the actual Prime Conduits themselves? By the end of Second Son, Delsin seems to have a pretty good understanding of his powers, but his potential is limited only by the studio’s imagination. Perhaps with time and some guidance, we could see him become even more powerful. Can he combine powers? What if he retreats into the mountains for years to hone his abilities, like Batman once did? I would like to see Sucker Punch explore some of these possibilities in a potential sequel. All in all, I really enjoyed inFamous: Second Son, and thought that it was a good point to start a new trilogy in the inFamous series. Sadly, we have not seen anything in regards to the franchise since 2014. With Sucker Punch working on Ghost of Tsushima, it will definitely be a while before we see any new games in the series. Delsin is a likable character, so I see no need to reboot everything. Especially when he isn’t tied down to one set of abilities, like Cole MacGrath was. Delsin has the ability to grow in power with each title. Sucker Punch could add more powers so that by the end of the trilogy Delsin ends up being stronger than Cole, and a worthy successor to the man that started the series off with a massive bang (or jolt)! 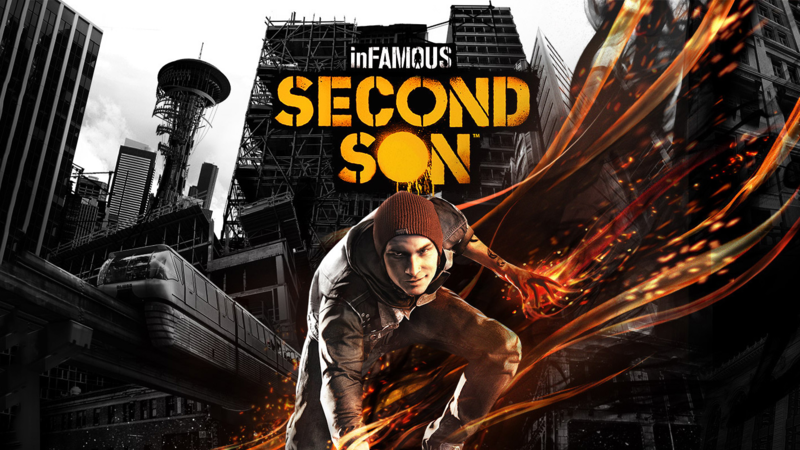 What powers would you want to see Delsin use in a potential sequel to inFamous: Second Son? Do you want Sucker Punch to reboot the series? Should it pick up from where Second Son left off? Let us know in the comments below!